Game of Thrones is the king once again. 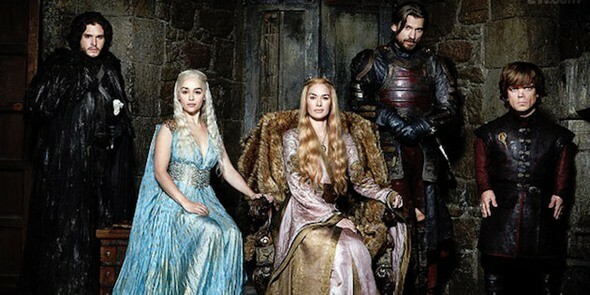 TorrentFreak has reported that the HBO fantasy drama was the most-pirated TV show for 2015. This is the fourth year in a row Game of Thrones has taken the title. According to TorrentFreak, there were a total of 14.4 million downloads for Game of Thrones during the past year. This is twice the number of downloads for the second most-pirated show of 2015, The Walking Dead, which only garnered approximately 6.9 million downloads. CBS’ The Big Bang Theory came in third, with 4.4 million downloads. The news is hardly surprising. Game of Thrones is HBO’s most-watched series. Last season, the ratings climbed even higher than before, with around 8.1 million tuning in for the season five finale. Season six premieres on HBO in April 2016. What do you think? Do you watch Game of Thrones? Why do you think it’s so popular? Which TV Shows Were the Most Pirated in 2017? No surprise. Great show but a majority of people aren’t going to pay a monthly fee just to see 1 TV show for a certain time of year.